Blame it on the corpse paint. When David Henderson went camping with his friends and their kids, he didn't expect to end surrounded by emergency vehicles. When David Henderson went camping with two friends, their kids and a dog, he didn't imagine the night would end with them surrounded by emergency vehicles. 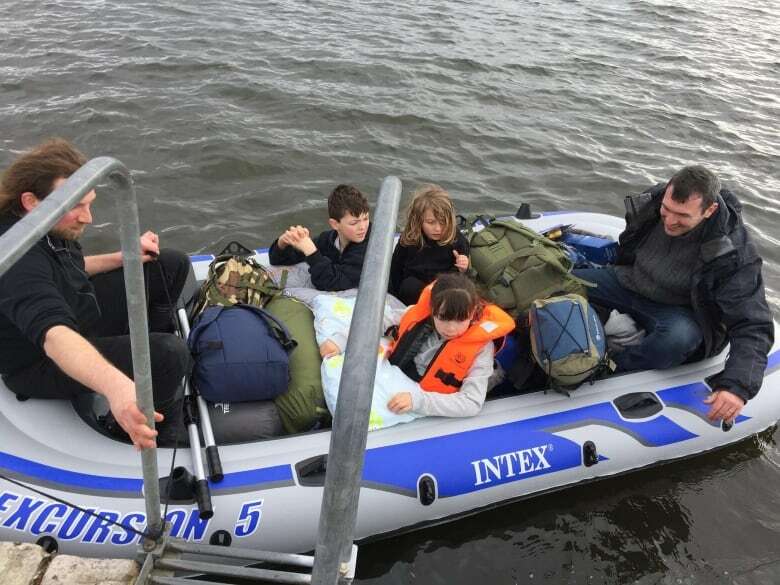 The group set up on a quiet island in Loch Leven in Scotland on Sunday and were sitting around a campfire telling ghost stories when they noticed a commotion, Henderson said. Police were searching the area for a group of people in need of rescuing. 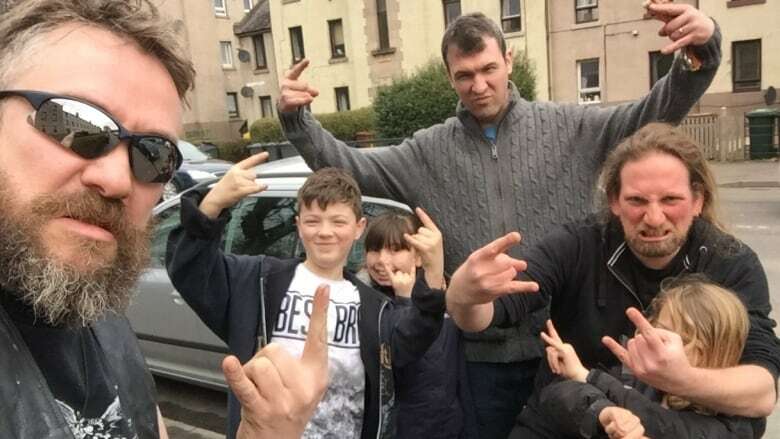 "They were after us," Henderson, a pizza delivery man from Glasgow, told Carol Off on CBC Radio's As It Happens. But the group didn't need to be saved. 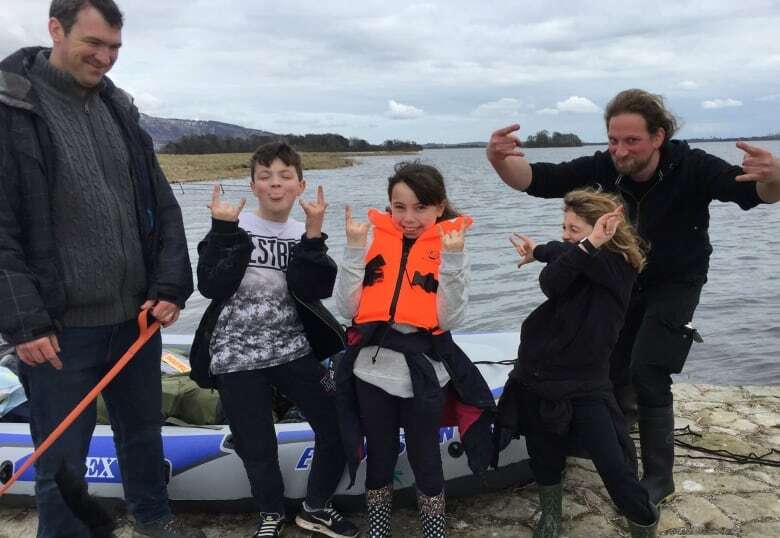 Henderson said he suspects a woman from Historic Scotland, which manages the ruins of a castle on an island in Loch Leven, reported them to the police. 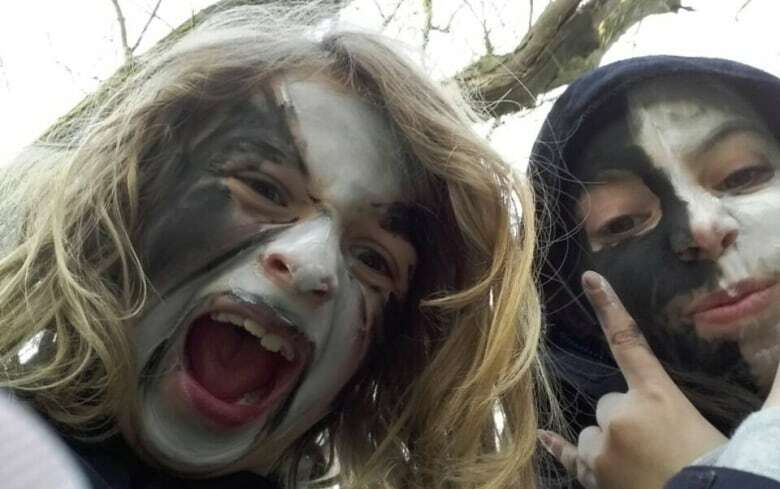 "She saw three guys, one wearing corpse paint, and the kids were all wearing black and had cloaks and had corpse paint, as well," he said. "I guess she assumed we had kidnapped them and we were taking them off." Corpse paint, Henderson said, is a sort of "war paint" worn in bands that perform black metal music. Henderson is part of a group called Nyctopia and wears the makeup — along with black clothing and cloaks — on stage. 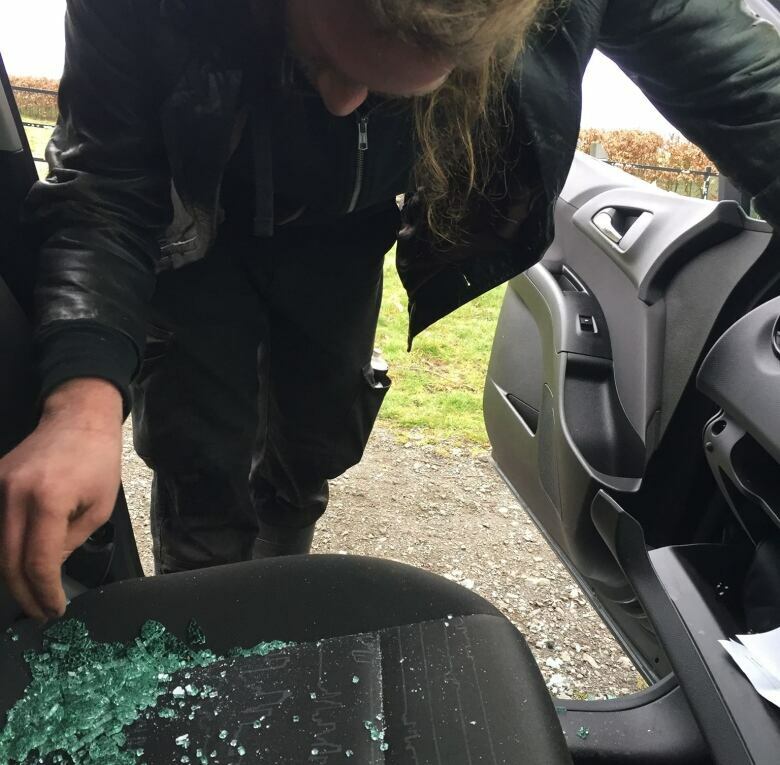 "They're just not used to seeing black metal guys camping in that part of Scotland," Henderson said with a laugh. When the full water rescue team arrived on the island, they grabbed the kids and returned them to shore, Henderson said. The three adults, including Henderson, were taken to shore separately. When they arrived, Henderson said four fire trucks and an "enormous amount" of police cars and ambulances were waiting for them. "It was like something out of a movie," he said. "We just couldn't stop laughing, to be honest." Paramedics checked on both the adults and children while police interrogated them. Police had also smashed windows in the campers' cars, Henderson said. "They told Ross [a fellow camper] they were looking for a suicide note," Henderson said. Apparently, he said, police were investigating whether the black metal campers were members of a suicide cult. Before the campers made it to dry land, Henderson suspects emergency responders had already figured out that nothing nefarious was going on. They had called one child's mother, who was out at the pub. "[The mom] was like, 'Yeah, I know them. They're my friends and I know [my daughter is] camping with them,'" Henderson said. But if emergency crews turned their backs on the massive nautical rescue, it probably wouldn't have gone over well, Henderson said. "They were so embarrassed that they couldn't leave us on the island." A spokesperson for Police Scotland told the Guardian newspaper: "We were called regarding a concern for a group of people on Sunday at around [7 p.m.] Inquiries were carried out, along with the Scottish Fire and Rescue Service, and they were all traced safe and well at around midnight." Once the scene cleared, the group was caught in a bit of a pickle. It was a really cold night and the group had no choice but to spend it in the parking lot where they had left their cars. "Obviously, because we had had a few beers each, we couldn't drive, and the police knew that as well, so we were stranded there," Henderson said. "[The police] took us from a place where we had our fire, we had our teepee, we had our food and we were all comfortable." So as the cool night air blew in through the broken windows, the campers hunkered down in their cars — wrapping the kids in what blankets they had — and called it a night. Written by Jason Vermes. Interview produced by Julian Uzielli.